Willow Path Childcare offers a variety of enrichment programs at no additional cost to parents. 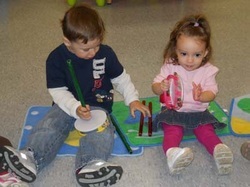 Every class enjoys weekly music sessions with Ms. Monet, an award-winning children's music performer. Ms. Monet teaches an upbeat, positive and vibrant multi-cultural music curriculum with influences of Caribbean, Soca, Latin and Pop music to name just a few. Every other week, Willow Path classrooms enjoy a Spanish music and movement class with ABC Spanish in Motion. Children are immersed in a full Spanish class while enjoying dancing, singing and games. Puddlestompers provides seasonal programs for our Toddler, Preschool, and Pre-K programs while making use of adjacent Allandale Woods as an outdoor classroom. 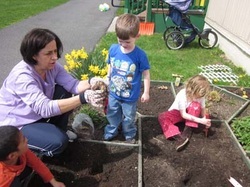 The Puddlestompers themes follow the cycle of nature through all four seasons connecting children by using hands-on exploration, songs, games, crafts, and stories. Children learn cooperation and team work through instructor-led weekly gym classes in either of our Gross Motor Rooms. Children are introduced to team games, parachute play, obstacle courses, and relays while engaging in imaginative dramatic play. 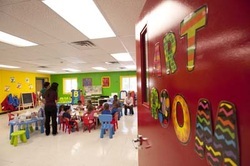 In addition to daily art projects in the classroom, Willow Path has a dedicated art room, where teachers engage children in large-scale recycled art projects. Willow Path participates in Read Boston, a Boston-sponsored program dedicated to early childhood literacy. With an onsite home-lending library, children are encouraged to pick a book weekly to take home and read with their family. In the summer months, the Read Boston Story Mobile provides weekly storytellers and free books for Willow Path kids to take home and keep. 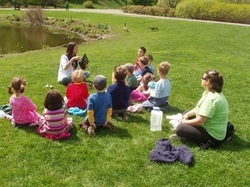 Willow Path teaches children science and nature in our outdoor classroom. Toddler, Pre-school and Pre-K/Kindergarten classrooms each have a dedicated garden plot where they learn grow vegetables and other plants. Past crops have included tomatoes, cucumbers, beans, carrots and pumpkins.